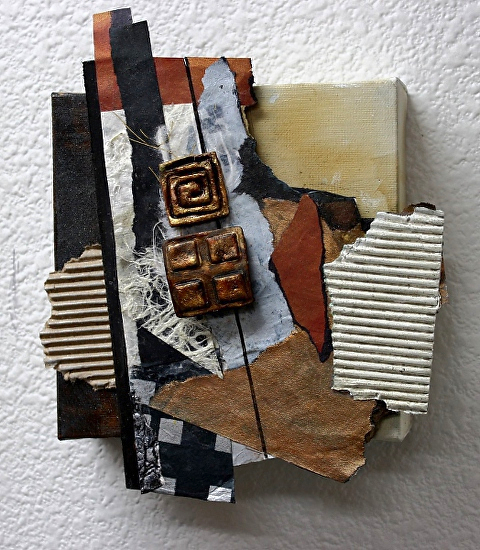 This abstract collage is mounted on a deep profile canvas. The palette is limited to neutrals: black, beige, copper, gold, white and gray. I wish I could capture the essence of this piece with the camera. It is so much better in person when you can see the myriad textures and glow of the metallic elements.